Surgical department of Lviv Children General Hospital is in a crucial need of modern bronchoscope in order to save many children’s lives. Current equipment used at the hospital is 15 years old, outdated and demands constant refurbishment. Due to the lack of financing, the administration of the hospital cannot purchase the needed equipment, therefore they are looking for any possibility to find the needed funds. They already collected $2000 from various donors, but the bronchoscope itself costs $4500 and together with all the necessary attachments — $9000. Bronchoscopy is an endoscopic technique of visualizing the inside of the airways for diagnostic and therapeutic purposes. A bronchoscope is inserted into the airways, usually through the nose or mouth. This allows the practitioner to examine the patient’s airways for abnormalities such as foreign bodies, bleeding, tumors, or inflammation. Specimens and aspirated foreign bodies may be taken from inside the lungs with this equipment. Nearly 400 patients with thoracic pathology receive medical help at the facility annually. Additionally, round the clock help is provided in the regional hospitals by the mobile emergency crew. Nova Ukraine is partnering with Lviv Children General Hospital and starting a fundraiser of the remaining funds for much-needed bronchoscope. Also in honor of #GivingTuesday, the money raised for this fundraiser will be matched up to $1,000 by the Bill & Melinda Gates Foundation, and Facebook is waiving all fees (up to a total of $1 million, so the sooner you donate, the bigger the chances to get the matching). Please support this cause, and your donation can be doubled! All your donations to Nova Ukraine are tax deductible. The total amount collected was $7120. 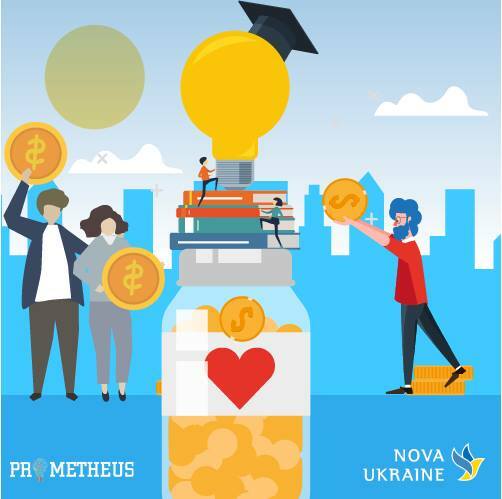 Nova Ukraine created a donation campaign on Facebook and collected $6,570. Additionally, we collected $550 though PayPal and donation matching. We would like to dearly thank everybody who donated to a good cause! No Replies to "Surgical Department of Lviv Children's Hospital"